Last week we learned that the Audi TT may become an all-electric model in the not too distant future due to a rapidly changing industry. The business case for the current coupe and roadster may no longer be possible to maintain. But the TT may not be the only casualty of this massive full-on electrification push. Auto Express has learned that the R8 supercar is also facing the dilemma. Audi’s newly appointed CEO, Bram Schot, is a fan of both the TT and R8 but he has a responsibility to make money. 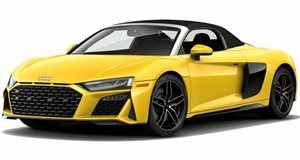 The R8 is not exactly a volume seller. It has always been a niche model and a halo car but times are changing that could see its sales figures drop to unacceptable levels. It’s Schot’s job to do something about that. "Audi will always have icon cars,” he said. "We are an emotional brand. The e-tron GT will be a new icon. But with the TT and R8, we’re also looking at volumes because profitability is something we need to focus on.” Based on our previous report, it sure sounds like a fully electrified TT will happen at some point. But what about the R8? Its future is less certain. As Schot stated, the upcoming e-tron GT will serve as a new icon model for the brand, as it shares a platform with the also soon to arrive Porsche Taycan. The R8’s 5.2-liter naturally aspirated V10, by comparison, is old school. Given Audi’s history of pushing boundaries, such as with all-wheel-drive technology, it does not make sense to continue building a low-volume supercar without electrification. Furthermore, fellow VW Group brand Lamborghini has no plans to drop its V10 supercar offering, the newly updated Huracan Evo. Of course, the Huracan Evo will eventually be replaced with an all-new model, its V10 will live on, though it’ll likely have some sort of hybrid boost. 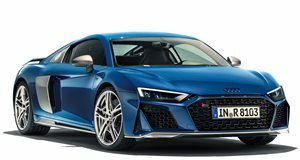 It may not make financial sense for Audi to do the same with the R8 given the e-tron GT’s arrival. However, last summer at Pebble Beach Audi unveiled its stunning PB18 e-tron, a radical-looking all-electric concept that shares some of its DNA with the LMP1 R18 e-tron endurance race car. It’s possible Audi will drop the R8 in favor of a production version of the PB18 e-tron, but so far executives remain tight-lipped on this subject. In any case, the R8 as we know it, and despite its recent refresh, could be living on borrowed time.